For those of you who missed last night's broadcast of Hamlet, it is now available online (or watch it below). It was a remarkable and beautifully filmed production. Remember when being a celebrity from New Jersey didn't involve wearing a pound of hair gel and having an Oompa Loompa tan? New Jersey honors its real celebrities at the New Jersey Hall of Fame's Third Annual Induction Ceremony on Sunday, May 2, 2010. Frankie Valli and 14 other legendary New Jerseyans will be inducted into the New Jersey Hall of Fame at at NJPAC in Newark. It will be a star-studded event as New Jersey celebrates: Jack Nicholson, Danny DeVito, Count Basie, Judy Blume, Justice William Brennan, Larry Doby, Michael Graves, Carl Lewis, Alice Paul, Les Paul, Phillip Roth, Susan Sarandon, Wally Schirra, Frankie Valli and President Woodrow Wilson. Headlining the show is a musical tribute to Frankie Valli performed by Dominic Scaglione Jr., who won everyone’s heart with his remarkable portrayal of Frankie in Jersey Boys. Also appearing will be the popular Jersey Band, the Hubcaps with Robert Randolph and The Rusty Paul Band led by Les Paul’s son in a musical tribute to the legendary guitarist. A limited number of VIP ticket packages to the event are still available including VIP valet parking, access to walk the red carpet with the celebrities, a special pre-event reception, prime seating for the ceremony and tickets to a private post-ceremony party. To order those tickets log onto www.NJHallofFame.org. Tickets for just the ceremony itself range from $90.00 to $30.00 and are available through the NJPAC Box Office at www.njpac.org or by calling 1-888-GO-NJPAC. Outer Critics Circle announced its nominees for the 2009-2010 season. Broadway stars and siblings Sutton Foster, Outer Critics Circle Award winner, and Hunter Foster Outer Critics Circle Award nominee, presided over the announcement ceremony at the Algonquin Hotel. The winners of the following categories will be announced on Monday, May 17th and the annual awards ceremony will be held on Thursday, May 27th at 4PM at the legendary Sardi’s Restaurant. Bill T. Jones - Fela! On Wednesday, April 28, 2010, at 8 PM EST, the Great Performances series on PBS will present the David Tennant and Patrick Stewart filmed-for-television version of the 2008 RSC stage production of Hamlet. To read the article and preview the production, visit the PBS website. Or listen to Patrick Stewart talk about the production. This week is Broadway Week on Live With Regis and Kelly. Guests include Christopher Walken, Kristin Chenoweth and many more. Expect to see lots of musical numbers. Theatre de Sade's inaugural event Teatro de Sangre will take place Thursday, May 6th at Mehanata, 113 Ludlow Street starting at 8 PM. Listen to Terry Gross of NPR's Fresh Air interview Stephen Sondheim and read the accompanying article. Kristin Chenoweth profile in the LA Times. Adaumbelle's Quest interviews Max von Essen and Rory O'Malley. Sarah at Adventures in the Endless Pursuit of Entertainment made a visit to Bergdorf Goodman and posted photos of their Stephen Sondheim tribute windows. The latest Broadway Bullet podcast is up, featuring interviews with David Stallings and Jennifer Laine-Williams of Barrier Island, Jessica McVea and Jarel Davidow of The Love List, and Marty Cooper discussing Stephen Sondheim's career and the City Center's recent Anyone Can Whistle. Leonard Jacobs weighs in on the Kelsey Grammer problem. While the latest incarnation of La Cage Aux Folles may be delightful, should gay men be supporting Kelsey Grammer, a right-wing conservative who is the new spokesman of the RightNetwork? Chris at Everything I Know I Learned From Musicals and Esther at Gratuitous Violins discuss bloggers who review preview performances in response Michael Codron's rant against bloggers in his recent Guardian article. Patrick at Just Shows to Go You has some great interviews with Alicia Silverstone, The Irish Curse's Austin Peck, and three company managers of current Broadway shows. Michael Roderick lets us know that nonprofit arts powerhouse Fractured Atlas is hiring. Ken Davenport announces his next Get Your Show Off the Ground seminar to be held Saturday, June 19th. Jesse North brings us Episode 10 of StageRush TV. Kevin Daly reconsiders Irma La Douce. 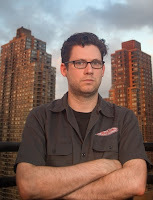 Rob Neill is the Managing Director of the New York Neo-Futurists. He studied at Grinnell College, the London Academy of Music and Dramatic Arts, the Warsaw Academy and The National Theater Institute. Rob moved to Manhattan in 1995 to write and perform Too Much Light Makes the Baby Go Blind and continues to work as a Neo-Futurist as well as with numerous other New York companies. Rob works for a commercial production company, writes poetry, teaches and has recently enjoyed working with a variety of great artists at the Ontological, the Public, PS 122 and the Kraine. I recently spoke with Rob about the upcoming all poetry version of Too Much Light Makes the Baby Go Blind. I know you've had theme shows in the past, though the one I'm most familiar with your annual Gay Pride Weekend show. Is this your first poetry themed version of Too Much Light? 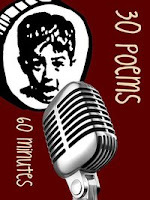 Yes, it is our first full poetry themed TML. Last year we had such success with the ‘Half-Nekkid Shows’ we decided to expand our theme weekends this year. What was your inspiration for doing it? April is National Poetry Month. We have done several shows at poetry venues like Bar 13 and Bowery Poetry Club. A good number of our plays are in the realm of poetry, and several of us have performed solo on the poetry scene, so we thought we’d reach out with a whole show. Are these all new plays, or are some of them being brought in from past shows? Many of them are from past shows, but there will be some new ones as well. That is often how we do themed shows—plus it gives us a chance to bring some great work back into TML. 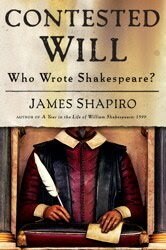 Should we expect to see any tributes to or parodies of famous poets? Who will be performing this week? Current NY Neos Jill Beckman, Desiree Burch, Cara Francis, Kevin R. Free, Ryan Good, Daniel McCoy, Joey Rizzolo, Lauren Sharpe and me. We will be joined by alumni favorite F. Omar Telan. Any other theme shows planned for 2010? We're brining back our Gay Pride shows the final weekend in June, the Half Nekkid shows in August, and the Best of 2010 in mid-December. What else is coming up in 2010? Besides the themed shows, we look to expand our ensemble over the summer, create several short Neo-Futurist films, perform at the Americans for the Arts Half Century Summit in June, produce our new fall main stage show, (un)afraid, in October, and celebrate our 6th year with a gala in November! Too Much Light Makes the Baby Go Blind: 30 Poems in 60 Minutes will be performed April 30th and May 1st at the Kraine Theater, 85 E. 4th Street. Click here for tickets. Some events of interest to a theatre crowd at the Paley Center for Media. For those of you hoping to celebrate National Poetry Month, consider attending a recital. After cancelling some performances due to the disruption caused by the Icelandic volcano, The New Victory Theater announced today that the 12-member cast and crew for Elephant, by Dodgy Clutch (UK) and The Market Theatre (South Africa), are going to be able to fly to New York this Friday, which means that public performances on Saturday, April 24 and Sunday, April 25 are no longer cancelled. Elephant is now scheduled to open on April 24 and run through May 2. Now, total cancellations for Elephant include two public performances and two school performances. One public performance, on April 29 at 7 pm, has been added to the schedule. On Friday, April 30th, and Saturday, May 1st, the New York Neo-Futurists will present a poetry-themed version of their critically acclaimed signature show, Too Much Light Makes The Baby Go Blind. This ever-changing, lightning-paced performance of 30 Poems In 60 Minutes will be dedicated to theater that is poetic, musical, lyrical, powerful and that sometimes rhymes. 30 Poems In 60 Minutes will feature New York Neo-Futurists Jill Beckman, Desiree Burch, Cara Francis, Kevin R. Free, Ryan Good, Daniel McCoy, Rob Neill, Joey Rizzolo and Lauren Sharpe. They will be joined by alumni Claudia Alick and F. Omar Telan. Tickets are $10.00 plus the roll of a six-sided die ($11-$16) at the door. 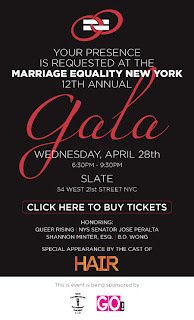 Advance tickets are $16.00 and can be purchased online or by calling 212-352-3101. In Honor of Poem in Your Pocket Day on April 27th, the Neos will be extending their "poetic footprint" by creating a series of wild postings throughout New York City honoring poems past, present, and Neo-future. BROADWAY RECYCLED will showcase Broadway stars performing cut songs from musicals – songs that shouldn't go to waste! Expect to hear numbers that were cut from Next To Normal, 9 to 5, Title of Show, A Little Night Music, High Fidelity, Yank!, Altar Boyz, Ordinary Days, Once on this Island, Taboo, and more! 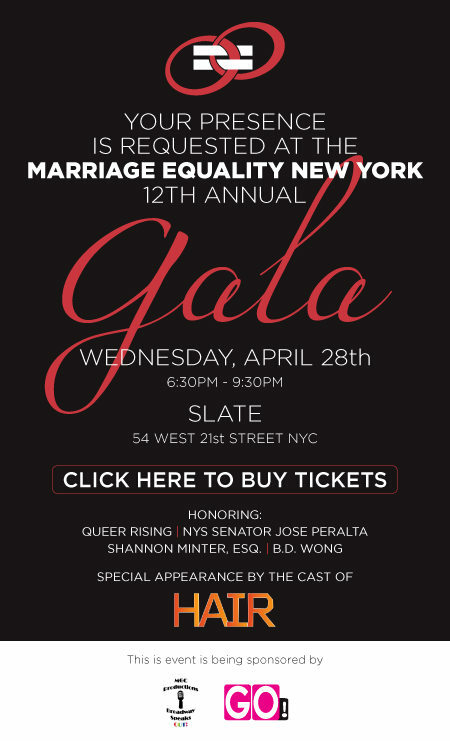 The evening will feature performances by the cast of [title of show] – Hunter Bell, Susan Blackwell, Heidi Blickenstaff, Jeff Bowen, and Larry Pressgrove – as well as Tim Anderson (9 to 5), Annaleigh Ashford (Hair), Jennifer Balagna (9 to 5), Mario Cantone (Assassins), Paul Castree (9 to 5), Erin Davie (Grey Gardens), Jeffry Denman (White Christmas), Jerry Dixon (Once on This Island), Kathy Fitzgerald (9 to 5), Gaelen Gilliland (Legally Blonde), Josh Grisetti (Enter Laughing), Aaron Simon Gross (13 the Musical), Adam Gwon (Ordinary Days), Ann Harada (Avenue Q), Hunter Ryan Herdlicka (A Little Night Music), Van Hughes (American Idiot), Tyler Maynard (Altar Boyz), Euan Morton (Taboo), Kerry O'Malley (Into The Woods), Charlie Pollock (9 to 5), Tory Ross (Cry-Baby), Andrew Samonsky (South Pacific), Bobby Steggert (Yank!, Ragtime), Joseph Zellnik (Yank! ), and Anthony Rapp (RENT). The concert, benefiting the Broadway Green Alliance and At Hand Theatre Company, will be directed by Dave Solomon with musical direction by Julie McBride. Tickets are only $30, available online at www.joespub.com. $35 tickets will available at the door on the day of the show. Joe's Pub is located within the Public Theater at 425 Lafayette Street. Dan Horrigan, Artistic Director of At Hand Theatre Company, has taken a few moments to answer some questions about the event. How did you come up with the idea of an Earth Day concert? It was a pretty "organic" decision. We're a green theatre company and that's a big part of our mission statement so we knew we wanted to do something centered around Earth Day. We partnered with the Broadway Green Alliance (an organization committed to "greening" the New York theatrical community) and took it from there. What inspired you to use songs cut from popular musicals? At Hand has a history of only producing "new work". The director of the evening, Dave Solomon came up with the idea of using trunk songs as it tied into that aspect of who we are and because it would make the evening all that more original. There are some amazing people performing. Do you think that's because it's an opportunity to perform lesser known songs? Not only is it an opportunity to perform lesser know songs but many of these numbers are being sung by the performers who were meant to have originally performed them! So, many of these performers have personal attachments to these numbers that never made it on stage. This just makes the whole evening that much more personal and exciting! What's coming up for At Hand Theatre Company? We have been having a very busy spring. 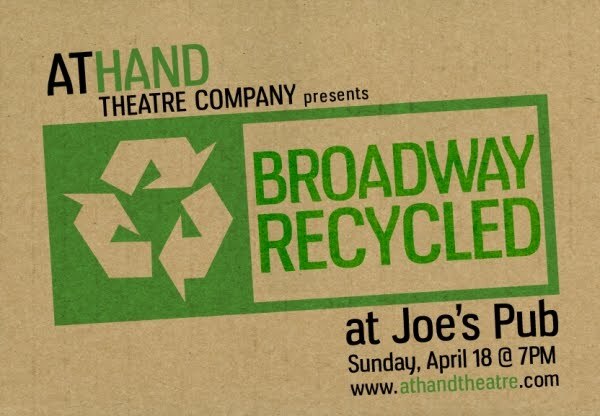 Broadway Recycled happens on the 18th and in less than two weeks (oy!) our next show opens. Letters To The End of the World by Anton Dudley opens on April 29th. This lovely and often very funny play takes place in both New York City and Zambia. The story unfolds against the backdrop of the African AIDS crisis but it is actually a play about the universal human experience and what really connects us all. We're so honored and so proud to be producing this new play by such a gifted writer.